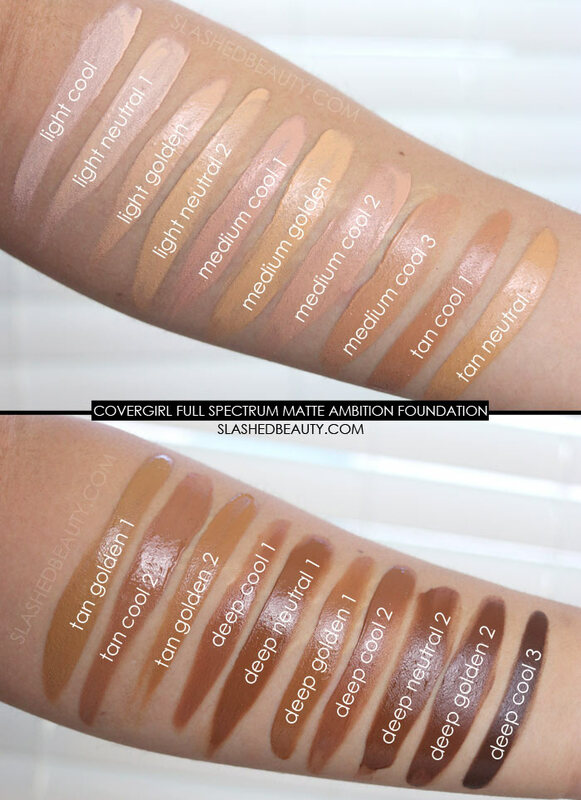 Covergirl just launched their Full Spectrum line, dedicated to women of color featuring shades and undertones that can often be hard to find at the drugstore. It goes beyond foundation— the range is huge with concealer, powder, eyeliner, eyeshadow and highlighting palettes too! 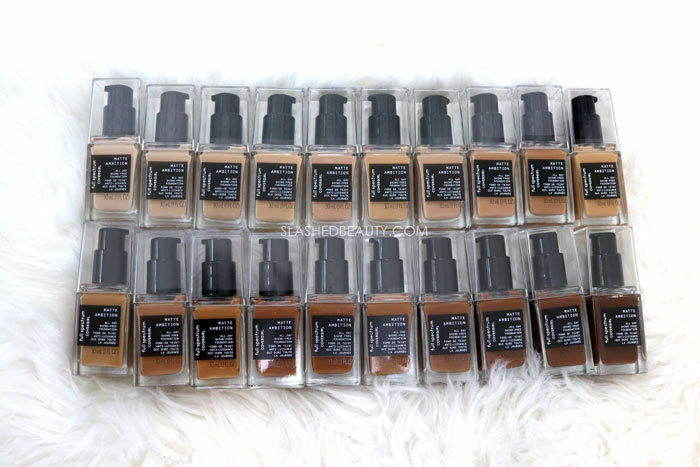 This is following their Matte Made foundation release, which included forty shades of foundation. The brand is really making big strides both with their inclusivity as well as announcing their cruelty-free status at the end of last year. I was super interested in how their new Full Spectrum Matte Ambition foundation was different from the Matte Made release, though. This line has 20 shades, features oil absorbing powders for a natural matte finish that’s transfer resistant and comfortable all day. This line is split up into the categories of Light, Medium, Tan and Deep. Within each category, there are cool, golden, and neutral shades. I felt this is the biggest difference in terms of the two lines, as Matte Made leaned a bit warm for me across most shades I tried (and looking at reviews, I wasn’t alone). Other than that, both foundations have very similar formulas. If anything, the Full Spectrum Matte Ambition is slightly thinner and lighter on the face. However, the coverage is still pretty great despite being so lightweight. It’s medium-full and buildable, and while the finish is a powdery matte it doesn’t look dry or cakey at all. Both powder and cream face products such as contour and blush also blend extremely smoothly on top of this foundation. Overall, it gives a beautiful even base and the coverage lasts! I’ve gotten 6-7 hours before my blemishes or discoloration start to peek through, and that’s without primer. I was also incredibly surprised that despite having really dry skin right now, to the point where I have flaky patches, this foundation didn’t really call attention to any texture on my face. I’ve had to stick to dewy foundations the past few weeks just to help conceal embarrassing eczema flare ups, but this foundation didn’t feel or look bad over my uneven skin! I do want to point out, though, that this foundation oxidizes. In the above photos, I swatched all shades and photographed them after they were sitting on my skin for about 5 minutes. 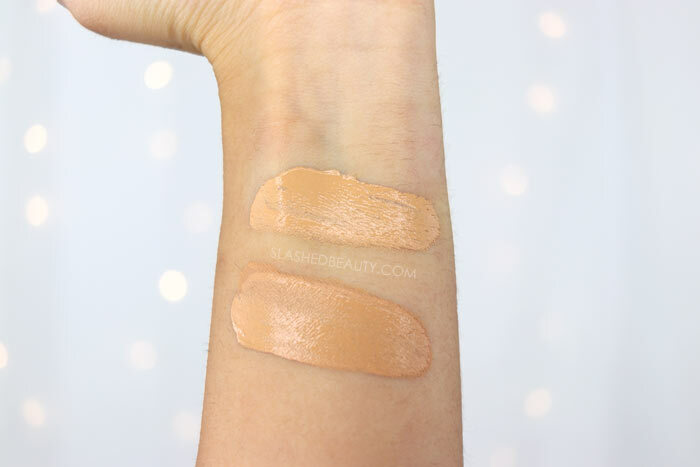 In the last photo, I swatched Light Neutral twice– the top swatch is freshly applied, the bottom swatch is after 5 minutes. You will definitely want to pick a shade based on swatches instead of how the color looks in the bottle. The other thing about this line is that if you’re super pale, you probably won’t find a shade that will work for you. Obviously the point of the line was to really cater to those in-between and deeper skin tones that are a struggle to find with other makeup lines. The fact that my match is actually in the “light” category was a bit shocking to me, with Light Golden being the best match for me once oxidized. 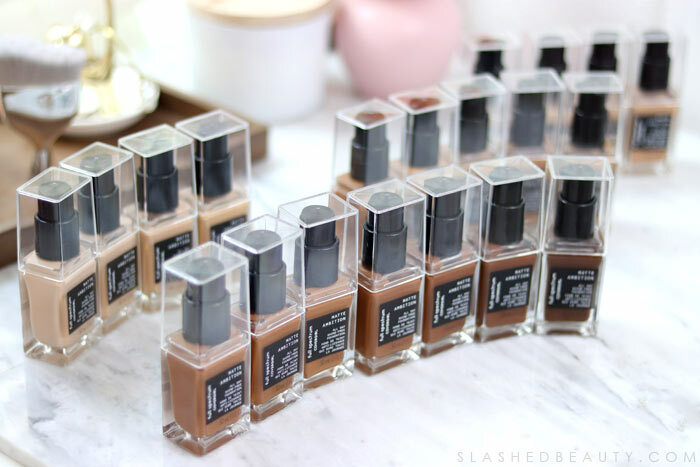 I think that the Full Spectrum Matte Ambition foundation is so perfect for those of us who have a really hard time finding the perfect drugstore foundation match. Even though I’m not that dark, my skin often falls between light/medium and medium/tan depending on the time of year, and I have a yellow undertone that isn’t often catered to in makeup. The fact that this line really does try to bridge those gaps is awesome. Right now, I can only find this foundation online at Ulta for $11.99 and will be popping into stores soon! 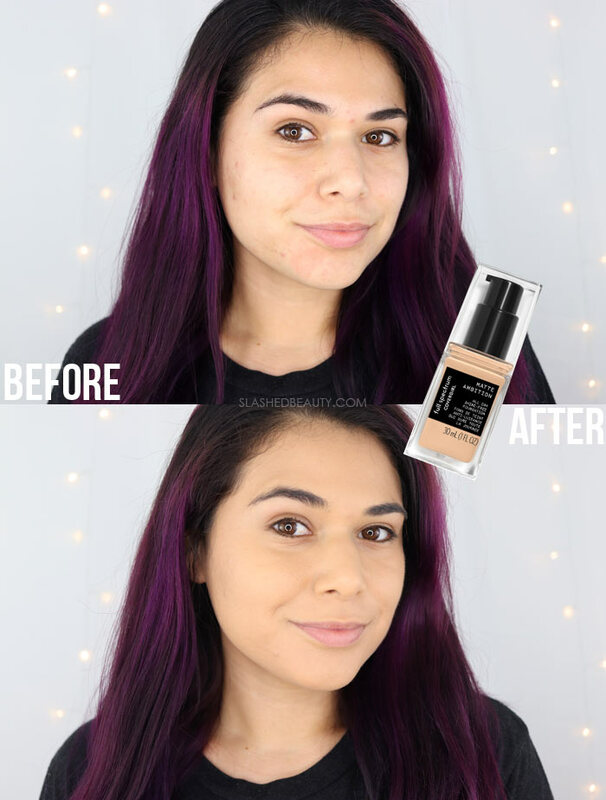 Do you have a hard time finding a foundation match because of your skin tone or undertone? Thanks for the great review! It looks like Light neutral 1 would be my perfect match. I’m not sure about totally vegan, I know they recently went cruelty free! I’m glad you were able to swatch all these shades. I can tell that Light Neutral would be my shade. Does this have a fragrance? That’s always a factor for me. No fragrance that I can see in the ingredients! They definitely are making HUGE strides in the beauty industry with respect to inclusivity, and making the very smart move to become cruelty-free. I really hope that other brands are intently watching and decide to do the same thing!